Design Joburg | Wandile Mabaso's soon to launch les créatifs is coming to Design Joburg! This May at Design Joburg featuring Rooms on View presented by Sanlam Private Wealth, visitors are in for a culinary delight with Chef Wandile Mabaso’s les créatifs restaurant at the show. A Sowetan born chef, classically trained in French cuisine who has worked the global restaurant scene… it’s not every day you come across such a cross-pollination, but trust us, Chef Mabaso’s food is as unique as his story. Much like his Sowetan-French journey, Mabaso’s offering to foodie lovers is an innovative but high-end fusion of contemporary South African and French cuisine, using the very best ingredients and treating them with the utmost respect. 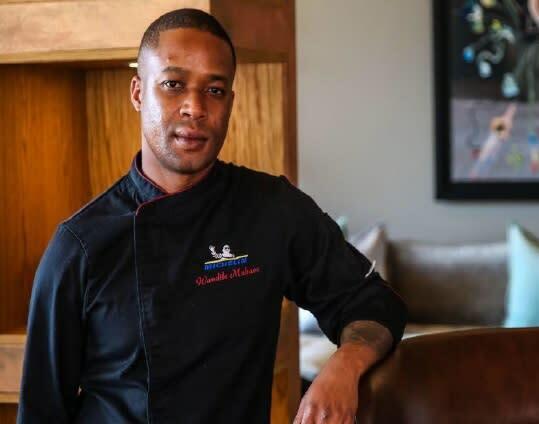 Set to open his new restaurant les créatifs (the creatives) at Hobart Grove in Bryanston this May, Mabaso is working with local interior designer Donald Nxumalo on the interior, ceramicist Andile Dyalvane on a bespoke tableware range and artist Layziehound on the artworks, kitchen design and uniforms. Mabaso promises that the experience will be a sensory journey like no other in the country. Because Mabaso likes a challenge, he’ll be creating his pop-up restaurant for Design Joburg in the same month. He will once again be teaming up with Nxumalo on the design of his in-show eatery of the same name. Here, visitors will be afforded the chance to experience this rising star’s unique approach to contemporary French South African fusion food as well as affording them a pared down version of what’s to come in Bryanston. As the name suggests, les créatifs will take its inspiration from a meeting of creative forces, namely the culinary, visual and decorative art fields.